About 9 years ago, I decided to create a rotating meal plan. I was using the crock pot nearly daily at the time. I had 4 children ages 4 years to 10 months, one whom was medically fragile and had lots of special needs and required so much of my time and effort: even more than the baby!! I set up a six-week rotating menu plan using mostly crock pot recipes. I was inspired by two books: Managers of Their Homes by Steve and Teri Maxwell, and The Organization Map by Pam McClellan. In MOTH, Mrs. Maxwell has a chapter about getting organized in the kitchen. In chapter 7, “Scheduling in the Kitchen”, Mrs. Maxwell suggested having two or three family-favorite meals that are the same every week. This would limit how many meals you would have to plan each week, making meal planning easier. She said “this idea works for lunches, too, but with lunch you can take it even further.” She suggested that you plan the same thing for lunch every Monday, and something different for Tuesday but have that every Tuesday and if you do that for every day of the week you would have 7 different lunches but you would not have to worry about planning lunches. Ms. McClellan, in her chapter “Meal Planning Made Easy” she describes the rotating meal plan and how to set it up. She advocates a 4 week plan but one night each week is leftovers so you do not have to plan out 28 meals. I like trying new recipes and we like more variety so I did a 6 week plan. I prefer the 6 week plan. After awhile, we got away from the rotating meal plan. I had a couple of different rotating meal plans that I used over the years but found different seasons of life required different approaches to meals. One thing has remained constant: PIZZA NIGHT. One more idea that I picked up from Ms McClellan had to do with creating a theme for each day or as she said “choose certain nights for certain types of meals” Even when I “got away” from doing the rotating meal plans, I still kept up the idea of having certain types of meals on certain days because that really helped with weekly meal planning. I had things like Pasta—which wasn’t just spaghetti but I would also plan things that use egg noodles like “tuna” casserole or hamburger stroganoff. We had “stir fry night” which wasn’t always stir fry but was sometimes fried rice or chow mein or sweet and sour. A few months ago I was getting tired of meal planning. I had kept up with the idea of themes but had gone back to planning meals weekly or worse not planning at all! I started playing with the themes again to try some new ones and that helped a little bit. We added a “bean night” a couple of years ago and it would go away for awhile and then it would come back again. We started doing Taco Tuesdays (but really it was just Mexican or tex-mex style). Finally about 7-8 weeks ago, I bit the bullet so to speak and involved my whole family and we created a 6 week rotating meal plan that I expect to use until summer. Then I’ll create one for summer and when the weather changes again I’ll pull out this “winter” one. I’ll post separately about the process we went through to create our current 6 week rotating meal plan. I said that I would like to keep myself accountable for my reading goal. I meant to post this yesterday morning but didn't have time. So from January 1st through February 23, I have read the following as part of my "read the Bible in a year"
I am still "struck" by the "lest at any time they should be converted and their sins should be forgiven them". This is something I have to keep pondering and discuss with my husband. All of us who have children have experienced that moment when our child says something that is just so precious that you need to remember it. Hopefully, you are not like me and end up NOT writing it down and then try to remember it and realize uh oh.. I’ve lost it. I decided that now that I have a blog, I’m going to write these precious moments down so that when my children are grown, I’ll have these moments to share to with them. Kind of like a diary or journal entry. A place for me to record something that I’d like to remember that I’m sure that I would forget. “I love it when food tastes like food” the Tailor age 9. It’s a good thing food tastes like food. Daddy asked her what happens when food doesn’t taste like food. She replied “then it tastes yucky”. I didn’t know that food could taste like something other than food. It’s good to know that if tastes like food is good to eat and when it doesn’t taste like food we can be sure it is yucky. As homeschoolers we are always on the lookout for that perfect math program or that miracle spelling program or that ONE phonics program that will be SURE to teach our child to read fluently nearly instantaneously. We also gravitate towards a tendency, if we’ve found that perfect program, to push that program to everyone we know. We overhear a homeschooling mom say that junior is struggling with math and we’re quick to recommend the math program we’ve recently found that has really helped our tator tots to learn their facts. What we fail to see is that each program has its strengths and yet it also has its weaknesses. Just like our children. It doesn’t matter how many (or how few) children we have. Each one is a unique and special individual created by God, in His image and for His glory. They are not clones of each other, nor are they clones of us. So if each of our blessings are different why do we assume that curriculum is a one size fits all affair? It’s like we think we have to use the same program for each child in our family and if the program doesn’t work with a child it must be the fault of the program. Maybe not though. Maybe it isn’t a fault of the program *OR* a fault of the child but rather merely a difference in how the strengths of one meshes with the weaknesses of the other. I’m learning that a phonics program or a math book maybe a *great* program and still be a wrong choice for that student. I *love* Math U See. I think it is a solid math program. I would almost be willing to swear that Mr. Demme created MUS for BooBear. It really is the *perfect* program for her, But Rosenburg, on the other hand, does not mesh so well with this program. It just doesn’t fit her learning style. If Rosenburg were my oldest, it’s entirely possible that I would have dismissed MUS as a “not very good math program”. Does Rosenburg not doing well with the program make it a “bad” program. No, no more than BooBear having success with the program would make it a “great” or “perfect” program. It’s very frustrating to hear moms promote a program based solely on the success of one or two children. Oh I don’t mean that they shouldn’t ever recommend the program but I’d rather hear: “This program worked very well for my daughter. Your daughter sounds like my daughter so I think it might work well for you.” I’m growing weary of hearing :”This is THE BEST program ever. You should use this program because I am convinced that it is the best and it will work for every child under the sun”. Ok so that is a bit of an exaggeration. My point though is that just because a program works with ONE child and works really WELL with that one child, does not mean that it will work with EVERY child. I’m sure I’m guilty of having pushed MUS. I’m having to eat my words now so to speak. I think it’s a great program and I do still recommend it. I just am learning to be more discerning. I’m not willing to say that it’s better than every other program on the market. I am willing to say that it’s the best choice for those students who have a mastery based learning style. Some children really do do better with a different approach. It sure would make my teaching easier if I could use the same exact math and spelling with all four girls.But then again, I think I really prefer being able to see them as four separate, wonderful individuals instead of as cookie cutter daughters molded to one shape. Today, we had unexpected visitors. Miss K stopped by. Miss K usually comes on Mondays to do PT with Supergirl. Today, she didn’t come to do PT. Today, she had her two children and her dog with her. They were in the neighborhood and decided to stop to see if we could play. Tailor loves animals. She was thrilled at the opportunity to play with a dog and to show B her model horse collection. Supergirl was excited to see Miss K and gave her a big hug. They all trooped to the park to play and walk the dog. Supergirl, so used to having Miss K do PT, asked if she could do some of her “exercises”. Miss K said she didn’t mind so Supergirl got some PT today. This got me to thinking. Miss K didn’t stop being a PT even when she was just being a friend. I don’t stop being a mom just because I home school. Miss K didn’t come over to work, but even in playing she didn’t stop working. I don’t have times in my day where I am “just a mom” or I am “just a teacher”. Teaching my children and being a mom, it’s who I am. I can no more stop being mom to them than I can stop breathing. And I can no more stop teaching them than I can stop being their mom. They ask a question, I answer it. Am I teacher or am I mom? I’m both, I’m Tess, a mom who happens to home educate her children. If they need cuddles, we stop the formal lessons and we cuddle. If they are in curiosity mode and wanting to learn, we learn. I guess I don’t see a hard and fast line dividing mom from teacher. I just don’t see that distinction. I don’t stop being mom when I am teaching and I don’t stop being a teacher when I’m being a mom. How is your quiet time? I am ashamed to say that most days mine is non-existent. Oh I don’t mean that I don’t pray and I do have a bible reading plan ( see my blog post on goals) but I can’t say that I have been consistent lately with a daily QUIET time to be still and listen to Him. I’ve not taken the time to sit at His feet and drink from the Living Well. Quiet time, for me, can include reading scripture. It can include praying. It could even include memorizing scripture. But there is something else. Something more. I do the above things. But they are not necessarily “quiet” and they are not necessarily “alone”. There is something wonderful about praying with someone else and memorizing scripture with others is helpful. I enjoy reading scripture with my family, but those things, while very good, are no substitute for going to the Father and spending some quiet- one on one- time with Him alone. Being still and knowing that He is and that is all that I need. I think quiet time adds an element of private worship; of private commune of my soul seeking the Father ‘s face. Of pouring out of myself so that I can be filled with Him alone. When I feel tired, dragged down, discouraged, or even angry, when I am feeling overwhelmed, stressed and yes even afraid, then I can be sure that I have not been getting enough of that quiet time. Quiet time is opening myself up to receiving from the Lord. This is why quiet time is so much more than just praying or just reading scripture or just memorizing scripture. It’s surrendering myself to Him so that He can speak to me through His Word and minister to my soul as I pray. I can read scripture without surrendering myself. I can memorize scripture without hearing His voice whisper in my soul. To hear Him, I need to be still. I need to be quiet. It doesn't have to be a certain length. It doesn't have to be at exactly the same time every day. In fact some days 5 minutes is sufficient, other days may need multiple rounds of "quiet time". But I know that I am too much like Martha and I do not have enough of Mary in me. I need more still time, more quiet time sitting at His feet. I didn’t start this blog until February but I did set some goals in January for 2009. I have two goals that I plan on blogging about in order to hold myself accountable. The first goal is to read the Bible in a year. Yes, I have an unwritten, unspoken goal of reading SOMETHING (even if just one verse) from scripture each day but when praying through this goal and trying to set up a reasonable expectation, I realized that when I think of reading “the bible in a year” I have this idea or image that I must read some bible plan each day that requires so many chapters from the OT and the NT so that I read the entire Bible in one year. I put stress on myself because I get “behind” and then I get discouraged and eventually I give up. So this year I have the goal of reading through my One Year Bible in a year but *ignoring* the day designations. That means that some days I may not read that particular Bible book at all and some days I may read two or three or more “days” worth at a time. I plan on posting on Mondays what I read the during the previous week. Some weeks maybe lighter than others but this way I will have some accountability for myself and a record of what I've read. My second goal is based on my motto. I read somewhere that I should have a motto for the year. So I came up with "Getting Organized in 2009: One Binder at a Time." I love using 3-ring binders to keep things organized. I have a three ring binder that I call my "working binder" that we use for school. I have a three ring binder for "household stuff". I have a several three ring binders for recipes. I have a binder that we call "the Budget book". One "binder" that I've had in the past was my prayer journal (it wasn't a binder, it was a spiral notebook but it worked). So my goal is to clean up these binders so that I can actually USE them and be more organized. Though I have the binders, many of them just have papers shoved in waiting until I have time to be perfect. Well that day will never come so we're moving from perfect to usable, one binder at time. As I work through organizing my binders, I will be getting organized in other ways and I'd like to keep a record of this process for my girls as they grow up and eventually have homes of their own to manage. Today is Valentine's Day.. well what's left of today. We don't really have any specific Valentine's Day traditions in our family but we try to have a nice meal. Tonight we served shrimp (not for me.. I had steak LOL), Gourmet Pototoes, and fresh steamed asparagus. This is NOT everyday fare for us. This is special. Friday Night Pizza night is not the only family tradition that we have. We also have "Birthday Cake for Breakfast". The day AFTER a birthday, the leftover birthday cake is served for breakfast. I refuse to serve ice cream with it but I let them drink all the milk they want. I don't remember exactly how the birthday cake breakfast started. I just know that it is part of our family. It's something we use to build those memories and foster "togetherness". The traditions are kind of like nuggets of treasure that we are building up in our family. Scripture tells us that where our treasure is there our heart is also. Yes, Jesus is telling us to lay up treasure in heaven and not to be concerned with the things of this world. But it struck me that if I want the hearts of my children, I need to help them build up the treasure of the family so that their little hearts would be with the family. The traditions build up the treasure in the family. Are you building up treasure in your family? This afternoon BooBear, my oldest daughter, asked me "Mommy, what do you like best about homeschooling your children?" Hmmm, good question. I told her I wasn't sure. I had to ponder that one. 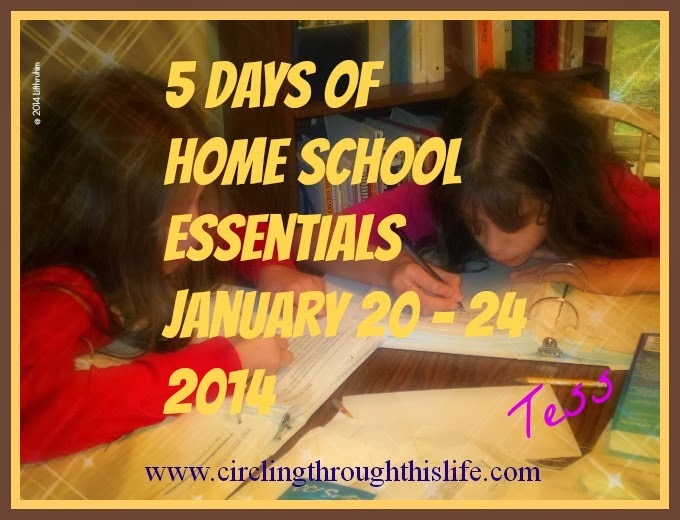 I really enjoy homeschooling, there are lots of things I like about it. I like that I get to choose what kind of math program or history program to use. I like that I get to sit on the couch and read. I love reading. I like that I get to do Algebra problems. Ok, so I'm kind of geeky that I get thrilled when BooBear needs me to help her solve for x. But what do I like best about it? Then it hit me. I like best that I get to be with my daughters and I get to guide, direct and teach their hearts. I get the opportunity to share my faith and my values with them. I like that I can stop in the middle of a math lesson and talk about scripture and take the time to pray with my daughter. I like that they ask me questions like "what do you like best about homeschooling your children?" and I like that because I homeschool I'm with them to answer those kinds of questions. Homeschooling gives me the opportunity to share with them "as I sit, as I walk, when I lie down and when I get up". Though that was not why we started homeschooling, I think that is why we continue to homeschool. I like best that I get to teach them so much more than just their ABC's and 123's. 6 And these words, which I command thee this day, shall be in thine heart: 7 And though shall teach them diligently unto thy children, and shalt talk of them when thou sittest in thine house, and when thou walkest by the way, and when thou liest down, and when thou risest up." Today, I've been feeling... I don't know.. not quite depressed, not quite angry... maybe more like something restless in my spirit. I've struggled today with thoughts like "he never does what's he supposed to" or "if only he would do this or that". (He of course being honeybear and my best friend). I wrestled with myself trying to reign in those thoughts. I'm reminded of the analogy I gave Rosenburger yesterday. She's my "stuck in the middle" daughter. She's been struggling with feeling left out and unloved. So I told her that she needed to change her perspective. Our emotions, thoughts and feelings are driven by what we perceive. If we perceive that we are unloved, we will feel unloved. Our feelings though are NOT an accurate measure of truth or reality. The Truth is that my daughter is loved. She is loved by One who loves her more than I could ever love her. He is faithful and true and will never leave her nor forsake her. She is, of course, loved by her family but she is loved oh so much more by the One who gave His life for her. As we talked about her feelings being based on her perceptions, we examined her perceptions to see if they were based on reality. She perceived that her twin sister received special treatment that she did not receive. As I asked her questions, she began to see the reality that she is treated just as special. Maybe not treated exactly the same but treated as the special, wonderful daughter that she is. She began to see that her perceptions lead her feelings. Our perceptions are like a team of horses and our feelings or emotions are the cart that follows behind. We need to reign in and redirect those horses or our carts may be dragged into places we do not intend to travel. Today I had to focus on reigning in my horses and not feeling sorry for myself. I needed to take "every thought captive to the obedience of Christ" I needed to consciously and continually correct my thoughts and bring them in line with His truth so that my cart (feelings) could be directed on a new and better path.